Terms and conditions | Lakeside CNC Group, Inc.
Standard Repairs and Reconditioned Units are warranted to be free from defect in workmanship and materials under normal conditions for a period of twelve months (12) unless otherwise stated, the Standard Warranty Period shall begin on the Equipment Shipping Date. Any change in the Standard Warranty Period shall be stated on the Customer Invoice. This Warranty covers ONLY defects arising under normal use and DO NOT include malfunctions or failures resulting from misuse, abuse, neglect, alteration, problems with electrical power, usage not in accordance with product instructions, acts of nature, or improper installation or repairs made by anyone other than Lakeside CNC Group, Inc.
Lakeside CNC Group, Inc. warrants that all products repaired by Lakeside CNC Group, Inc. shall be free of defects in material and workmanship under intended use. Products that have failed during the warranty period must be returned to Lakeside CNC Group, Inc. for inspection and repair. To return a product, please file a Warranty Claim. Lakeside CNC Group, Inc. shall, at its option either repair the equipment, supply a replacement (subject to availability) make a price adjustment or credit Customer’s account upon an approved return of the equipment. The Warranty SHALL NOT COVER ANY COSMETIC DEFECTS that do not affect the functional operation of the Repaired Equipment. Before sending the item in, the customer is responsible for contacting Lakeside CNC Group, Inc. by filing a Warranty Claim to determine whether the item is within warranty period. Customer must also determine that the control and/or other systems have been properly installed. Lakeside CNC Group, Inc. shall be responsible for reasonable charges (ground shipments only) to and from the buyer for warranty failed parts only. Lakeside CNC Group, Inc. will not and does not pay and reimburse any travel expenses, service call and or any other than the item under warranty. No dealer, agent and the purchaser are authorized to modify this warranty or make any changes to their warranties, other than the warranty stated above. The accepted quotation, purchase order, and invoice represent the entire agreement between Lakeside CNC Group, Inc. and the purchaser. All parts returned as not needed or ordered incorrectly are subject to a 20% restocking fee. 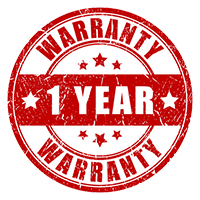 The warranty period for parts sold by Lakeside CNC Group, Inc, with the exception of consumable parts is 12 (twelve) months warranty. Sales of consumable items such as encoders, bearings, integrated circuit components, transistors, fans, contactors, fuses, transformers, relays, resistors, batteries etc., are non-returnable, nor refundable. Please note: In no event Lakeside CNC Group, Inc. will be responsible for any special, incidental, consequential damages without limitations for loss of revenues, damages to customer’s equipment or expenses resulting in “down time” whether or not caused by negligence of Lakeside CNC Group, Inc. repairs.